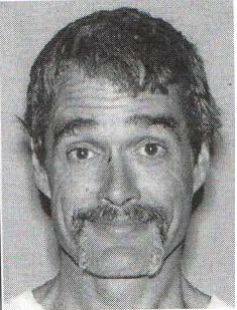 GRAND CANYON, Ariz. — Floyd E. Roberts III — 52, of Treasure Island, Florida — remains missing in western Grand Canyon. Tuesday’s responding resources include seven ground teams and the National Park Service helicopter. Searchers from Grand Canyon-Parashant National Monument and Mohave County are helping the Grand Canyon National Park Search and Rescue team. The National Park Service is also consulting with Coconino County Search and Rescue. The area the team is searching is rugged and covered in thick brush. Transportation to the area takes several hours. The National Weather Service has issued an excessive heat warning in effect through Wednesday; therefore, safety of the search team is a priority. A base camp has been set up near Kelly Tanks with shade shelters, water and other resources for the search teams. On Saturday at approximately 3 p.m., the Grand Canyon Regional Communications Center received a call reporting Roberts missing in the extreme western portion of Grand Canyon, near Kelly Tanks in Grand Canyon-Parashant National Monument. Roberts and his party were on day one of a multi-day backpacking trip. The National Park Service is conducting a Search and Rescue operation. A missing persons investigation is ongoing. No further information is available at this time and will be limited during the course of the search. Any individual with information about Roberts should call the National Park Service information line at 928-638-7300. Last seen wearing a red long-sleeved shirt, blue jeans, multi-colored mesh Nike sneakers, a blue Lowe Alpine backpack, and white-rimmed sunglasses with orange lenses. If he’s nowhere near water with the heat index in that canyon he needs to found and found NOW !